To continue our series we started highlighting one of our past couples, this week we are featuring Jenny and Tyler's wedding. Jenny and Tyler were married at the Mansion on August 8, 2010. Jenny and Tyler met for the first time in Las Vegas at a restaurant called I Love Sushi, the dinner was hosted by a mutual friend. 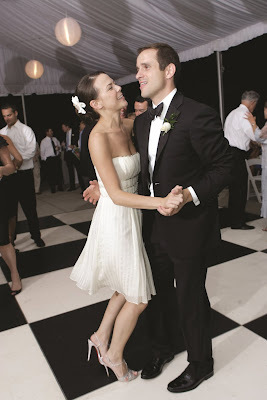 Tyler proposed to Jenny on November 27, 2009 on the campus of her alma mater, Smith College in Northampton, MA. It was a rainy, foggy day. He got down on one knee and proposed on a bridge. He personally designed the engagement ring, the stone was given to him when he was a teenager by his grandfather who purchased it in South Africa with the intent that one day it would be worn by Tyler's bride. During the proposal he explained to Jenny why he chose each detail of the setting and how it symbolized them. Tyler and Jenny wanted the wedding to be intimate and simplistically elegant, which is one of the many reasons they chose Wadsworth Mansion as the venue. They said to each other, "what a beautiful place to start our life together." Jenny added: "The mansion has a quiet elegance, nothing gaudy or overstated, it completely fit our style. We also loved the idea of being married on the grounds which are absolutely picturesque! Everything just came together perfectly, and it didn't feel like a wedding factory which was so important to us." Jenny wore Franz Xavier Winter Halter by Carolina Herrera. Her veil was the matching piece designed also by Carolina Herrera. Her shoes were Swavorski Crystal covered Christian Louboutin's. Tyler's tuxedo was by ISAIA. After the wedding Jenny and Tyler honeymooned for 100 days,visiting 32 cities around the world. Thanks again for letting us be a part of your special day!